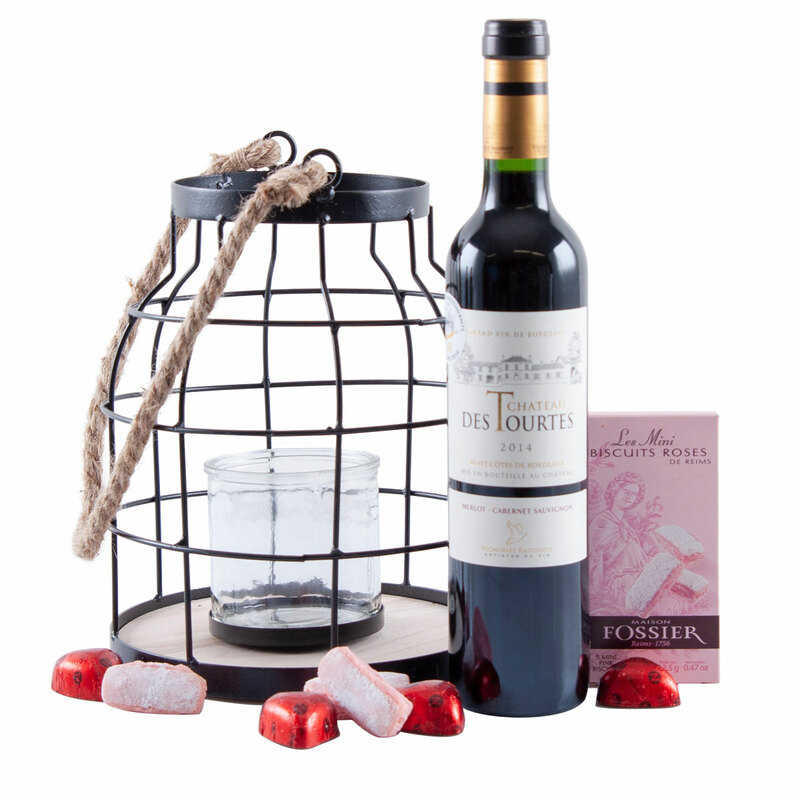 Wake up the passion with a bottle of red wine (50 cl), tempting chocolate hearts, and sweet, pink biscuits by romantic candlelight. The ideal gift for couples to celebrate Valentine's Day, a wedding anniversary, or any other romantic occasion. Chateau des Tourtes is a hearty, red Bordeaux wine with Merlot & Cabernet Sauvignon full of fruity and woody notes.